The subject property is a very well designed shopping center was built in 1979. 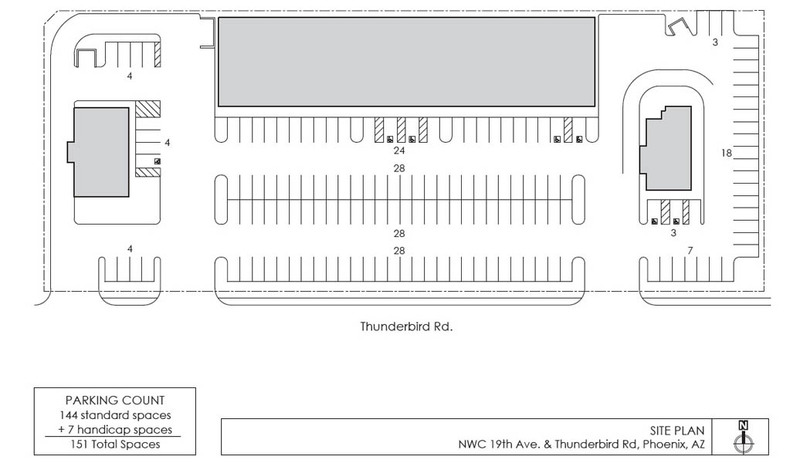 All the suites directly face Thunderbird and the two pad buildings that are included are set off to the side so as to not block any visibility. There is a very large field of parking offering a very generous 6.4 per 1,000 parking ratio. 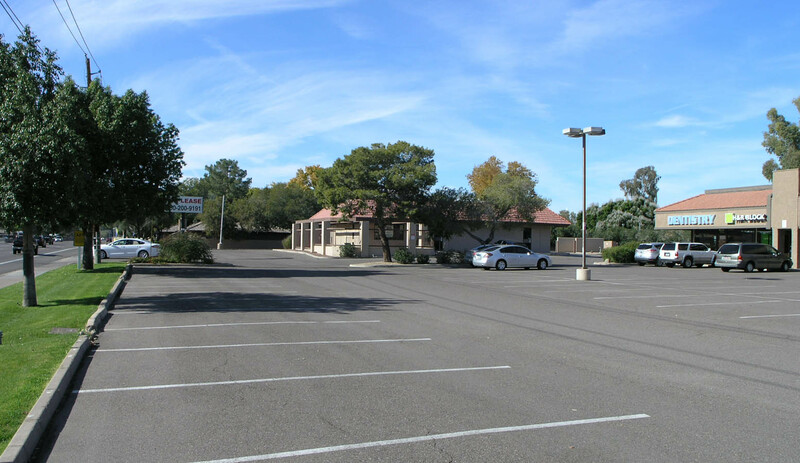 This large amount of parking creates leasing flexibility for parking intensive users. 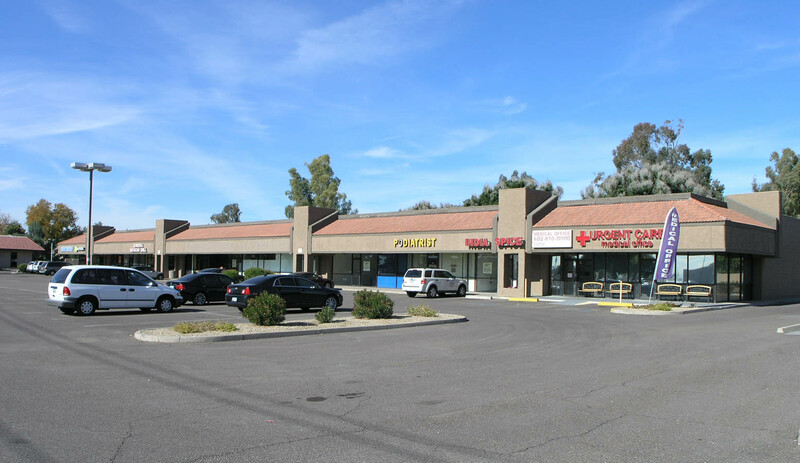 The land represents a large percentage of the value of this center and is priced at $14.55/sq. ft. for the land alone. If the land alone is half the value, the buildings are included at a small fraction of replacement cost. 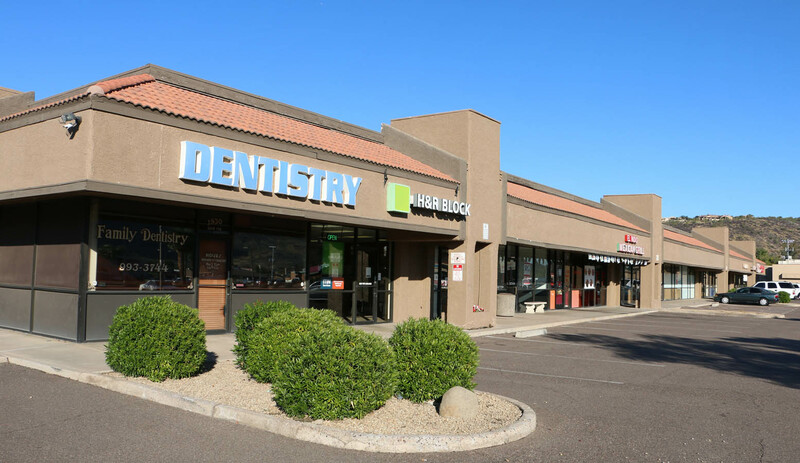 The vacant space can be leased at low rates and still generate a very good rate of return. 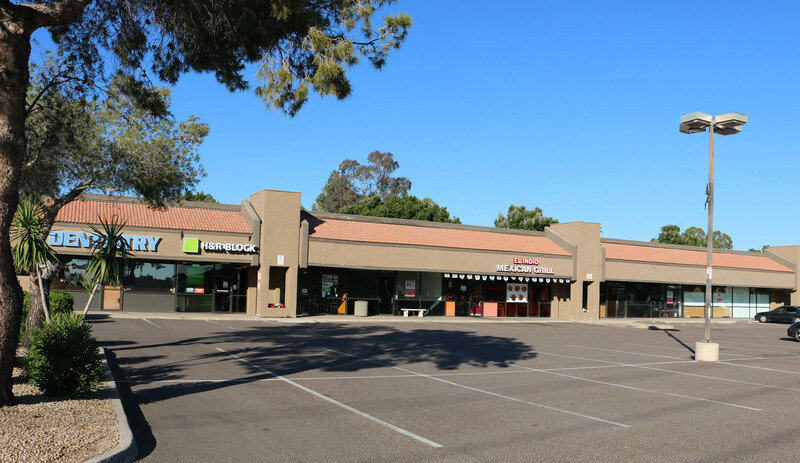 Alternatively, the center is probably ripe for a renovation that would allow the rents to be increased dramatically and turn the property into the dominant retail center in the immediate area. One of the two included pads is vacant and was previously a McDonald’s. 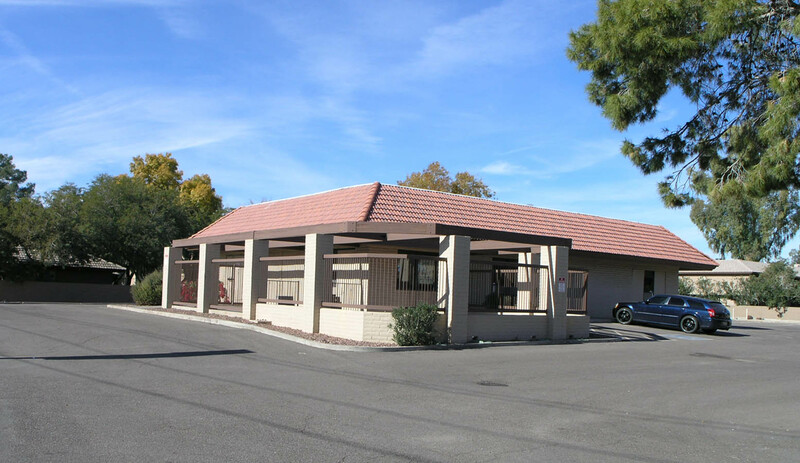 It offers a drive-thru and a +-1,440 square foot basement. Its value could be enhanced with a renovation too, which would turn it in to a premium, high visibility, easy access space. 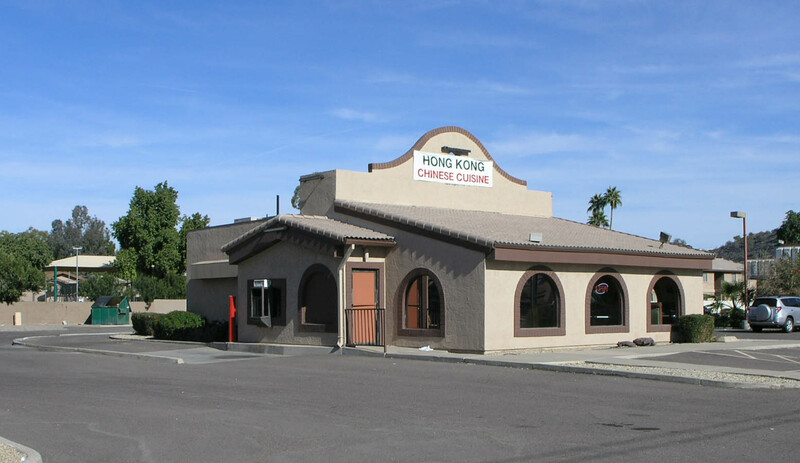 One strategy may be to put it on its own parcel and sell it off after it is leased. 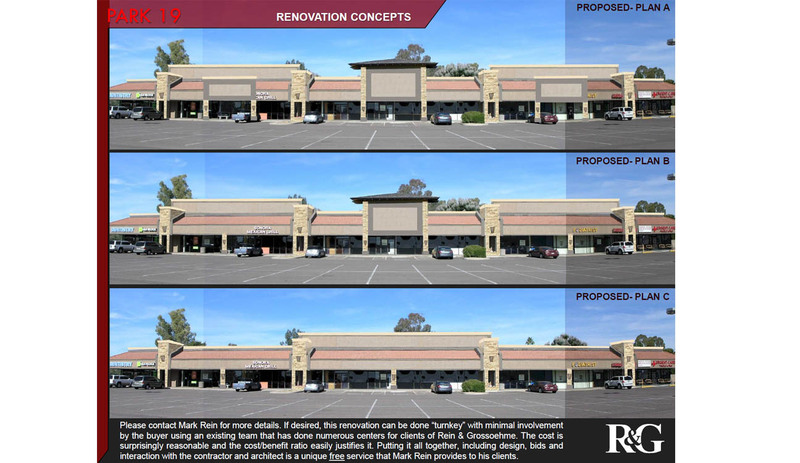 All vacant suites are second generation, so tenant improvements will not be excessive.